Harkány is situated 25 km from Pécs, not far from the wine route between Siklós and Villány. 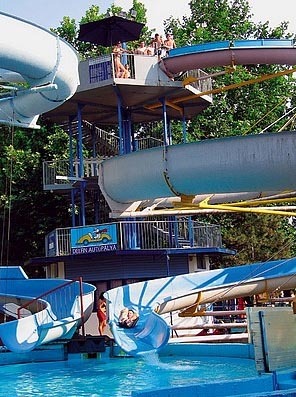 The town Harkány has spa water that is unique in Europe. The spa has a high dosis of Sulphur, sulfid and carbonsulfid which can be used successfully in physiotherapy. The spa bath meets the expectations of wellness tourists as well. 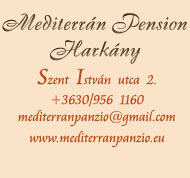 The pension Mediterrán Harkány is situated in the town centre, 20 m from the spa bath, but it is still a quiet place. The spa bath is open the whole year through. 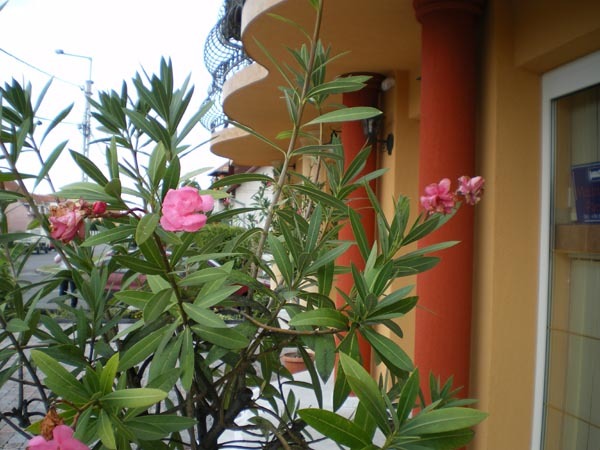 There are fully equipped appartements in the pension, each with a double room, a modern kitchen, a balcony and a car park. Programmes: Visiting the wine region of Villány with wine-tasting, sightseeing in Pécs, hiking on the mountain Mecsek, angling (there are 3 fishing lakes and the river Dráva in the area), cycling, hiking on the Tenkes hill. 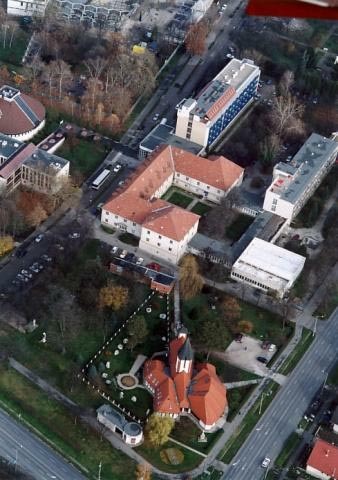 Culture: visiting the castle of Siklós, visiting the Catholic church / bazilika / in Máriagyűd, cultural weekends in Harkány (there are cultural programmes, concerts and performances at the weekends from May to October), if you wish we arrange the programmes for you. 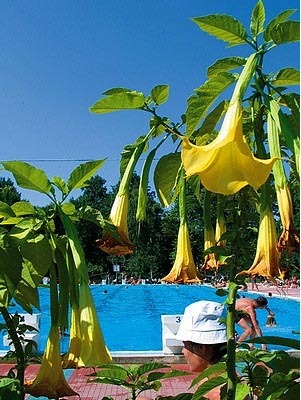 It is not only the medicinal water that has its spontaneous effect at the thermal baths at Harkány. The natural conditions are excellent: the favourable climate, the micro-climate of the spa, the 2.100–2.200 sunny hours a year can splendidly complement a carefully planned course of treatment. 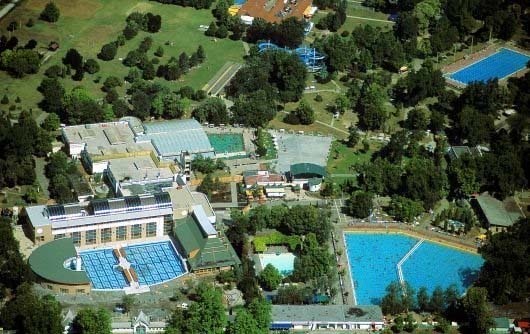 In the medicinal baths - completely refurbished in 2003 - a fully covered, a half-covered, and an open pool await the guests with a total water surface area of 2098 m², with a depth of 110-153 cm at a temperature of 34-38 °C centigrade. In the prevention and treatment of locomotor and arthritic disorders, in improving a condition of osteoporosis, chronic gynaecological inflammations, and disorders of the lymphatic circulation, outstanding results might be achieved during a course of treatment at Harkány. 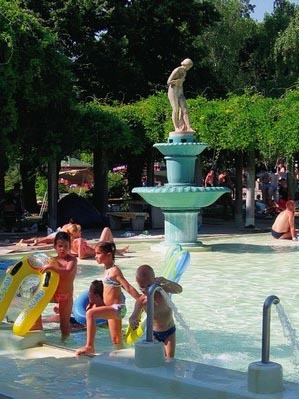 Our dermatologists have had excellent results in the treatment of psoriasis with the waters at Harkány. We do not wish to assert that such improvement can only be achieved by a cure session at Harkány, as there are two further places in the world that can be hopefully visited by psoriasis sufferers. The nearest one of these to europe is the Dead Sea.